I have a mid-2010 Mac Mini set up in my living room that I use for occasional browsing and email. It came installed with Snow Leopard. I swapped out the hard drive for a 256 gigabyte SSD and bumped the RAM up to 8 gigabytes. The machine is reasonably fast and is in a handy location. Additionally have it set up with a Neat desktop document scanner. I’ve deliberately kept the machine running Snow Leopard over the years even though several new versions of OS/X have come and gone. Lately a nag screen kept popping up wanting me to update it to OS/X El Capitan. I resisted at first, but from the Apple podcasts I listen to the chatter is that things are slowly improving as Apple rolls out bug fixes. So, I ended up saying yes to the El Capitan upgrade. The upgrade process itself seemed to go smoothly enough. It wasn’t until I sat down in front of the machine afterwards that I realized saying yes to the El Capitan upgrade was a mistake. The first thing I found objectionable is the overall look and feel of the new design. The menu text isn’t big or bold enough to stand out, and the aggressive use of white and wimpy light-colored pastels ruins the usability that extra contrast affords. You have to remember I’m coming directly from Snow Leopard to El Capitan, and the overall look and feel of the Snow Leopard interface is much more appealing and practical. If you can do so, put El Capitan directly next to a machine running Snow Leopard and the Snow Leopard machine is much easier to see and work with. Interface elements in Snow Leopard are much more prominent. Snow Leopard icons are far more recognizable, and menu text is bigger and stands out more boldly. The next thing I noticed is that the Finder dumped all of my customizations. It has an “All My Files” folder that dumped some 1,200 files into one giant folder even those files reside in many different folders across the hard drive. Folders such as Movies, Photos and Music are completely missing from the Finder’s sidebar. They still exist but it’s necessary to go digging around for them. Functionally El Capitan caused my Neat desktop scanner software and driver to utterly stop functioning. Neat has a multi-step work-around for El Capitan posted to their website. The work-around sort of fixes things partially but not really. If you have a Neat document scanner, DO NOT upgrade to El Capitan at this time unless you don’t want to use your scanner. At this point, I was willing to live with El Capitan until Apple fixes all of the infrastructure problems. However, I ran into an infrastructure problem that turned out to be a complete deal-breaker. I have a 6 terrabyte Western Digital MyCloud network attached storage (NAS) drive plugged in to my Apple router. Though the MyCloud drive functions perfectly under Snow Leopard, iOS, Android and any version of Windows, to my chagrin I discovered that OS/X El Capitan won’t stay connected to the drive. I could reboot the computer and regain access, but within a few minutes the Mac Mini would arbitrarily disconnect from the MyCloud drive. It even disconnected in the middle of copying a large file to the MyCloud drive. If you have a MyCloud NAS drive DO NOT upgrade to the current version of El Capitan. That was too much. I made sure I had backups of pertinent files, including the all-important Neat Library database file. Then I dug out the DVD’s that came with the Mac Mini and made a fresh install of the version of Snow Leopard that shipped with it. I was able to use the Migration Assistant to restore pertinent files, settings and Applications from a current Time Machine backup. What is Apple thinking? In my opinion OS/X El Capitan is worse than Windows ME, arguably one of the worst, most bug-ridden versions of Windows ever. I know what Apple is trying to do with the El Capitan interface and color scheme – they are trying to make it seem fresh, new and exciting. Unfortunately, it fails on basic ergonomics. The El Capitan interface is a nightmarish hurricane of weak pastels, hidden features and unreadable system text combined with a truly dysfunctional infrastructure. Fortunately, I had the option of pulling the plug on El Capitan and going back to Snow Leopard, which is arguably the best-ever version of OS/X. People buying new Macs today do not have that option. Unless they’ve had experience with older versions of OS/X they will never know that they are buying into a computing eco system that left its best days behind it. Over the years I’ve made use of most every personal computing device as it came along. I’ve have been through a long succession of desktop and laptop computers (both Windows and OS/X), along with expensive but rather limited use PDA type devices, and in more recent years smartphones and tablets (both iOS and Android).The capacitive glass touchscreen smartphone era was ushered in by the iPhone. 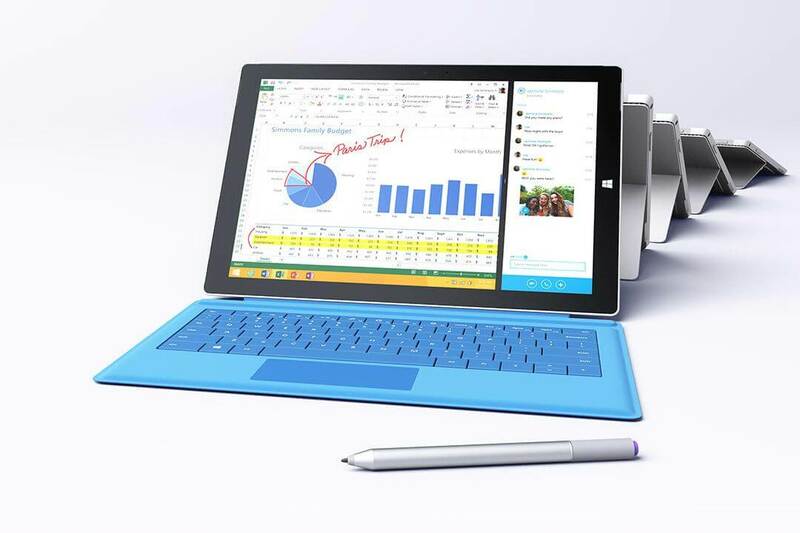 Next came the capacitive glass touchscreen tablet, a device that ate into laptop usage. In the past couple of years larger screen smartphones have taken a bite out of both tablet and laptop usage. Admit it, it’s happened to you. You are sitting there in front of your desktop or laptop computer with a keyboard and mouse, and you find yourself reaching up and touching the monitor screen trying to pinch and zoom. You are in good company — it’s happened to virtually everyone that’s gotten used to using a capacitive touchscreen phone or tablet. When I first got an iPad, I realized pretty quickly it was quite good at being a media consumption device. Naturally over time, I found myself trying to figure out ways of doing more with it. It was a bit frustrating, because I almost wanted it to be more of a laptop with real productivity software (not limited “apps”) that I could use a mouse with (specifically forbidden by Apple for use on the iPad). I have to admit to never using Windows 7, 8 or 8.1. Windows Vista had been such a frustrating experience that around 2006 I jumped over to Apple machines in a big way — three Mac Minis, two Macbooks, one original Apple TV, two iPod Classics, one iPod Touch 4th gen, and two iPads. 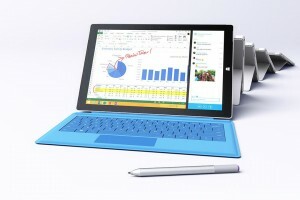 Microsoft has to be given credit for trying to blend the capacitive touchscreen interface with the traditional computer interface. Of course, their first attempt at it — Windows 8 and 8.1 — was badly bungled. With Windows 10, Microsoft has really nailed the blending of the capacitive touchscreen experience with the traditional mouse interface. Lately I’ve found myself getting excited by the idea of being able to have a high-performance tablet device that could also run real software applications — not just very limited “apps” — that could also function as a desktop class computer. Importantly, real productivity software demands the option of being able to use a mouse instead of fingers if need be. Editing audio or video, for example, demands the precision of a nimble pointing device that can’t be matched by fingers on capacitive glass obscuring the image. All that being said, I’ve come full circle. I want a high performance tablet that has a great screen, fantastic performance, plenty of storage and a real computer operating system that when attached to a keyboard essentially turns into a high performance laptop computer. One of the things that has driven me a bit insane about the world of Apple and OS/X (along with iOS) is their penchant for routinely taking valuable things away. I became fairly proficient with Final Cut Express, and Apple arbitrarily decided to stop developing it. For years I used a podcast recording application for OS/X called Ubercaster that pretty much stopped working with OS/X Lion, and the developer stopped developing it. My choice was to stop upgrading OS/X or stop using Ubercaster with no one piece of software that could directly replace it. My Macbook Pro 17″ from 2007 still works, except the moust button is stuck in the “on” position, rendering it useless. I could get it fixed, but the machine is at least 8 years old and has a high-hour LCD — probably not worth spending any money on at all. I am not very loyal when it comes to brands or technology. Though I started out with DOS and Windows and mostly moved over to OS/X about 9 years ago, I can easily move back to Windows. Two days ago I purchased a Microsoft Surface 3 Pro tablet and keyboard with a 256 gigabyte SSD. So far, the experience has been great. The Microsoft keyboard offers a great typing experience. Unlike the cramped and compromised netbook sized keyboards, the optional Surface Pro 3 keyboard works as well as any laptop keybaord I’ve ever used. To Microsoft’s credit, much vintage/legacy software works just fine on Windows 10. Adobe Audition 1.5, which is at least 10 years old at this point, loaded and functions on Windows 10. I now have a 12″ high resolution tablet that offers incredible performance. It can turn completely on and off in seconds. 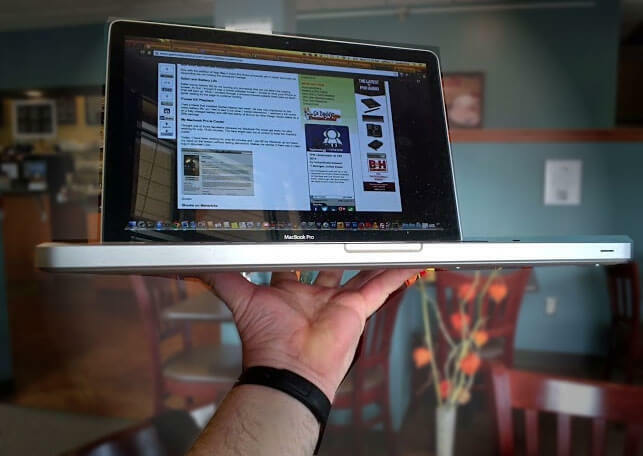 I can use it either as a tablet or as a laptop. I have a capacitive touchscreen that I can pinch and zoom if I want, but I’ve also got a touchpad and mouse cursor, completely my choice — whatever I reach for without having to think about it. I don’t know about anyone else, but the two-in-one experience — a tablet that can function as a high performance laptop — is the new next step in the ongoing story of my usage of computing devices. Could the next Mac OS be named after a local town? Starting with version 10.9, Apple began naming its long-running OS X operating system after specific places in the state of California. OS 10.9 was called Mavericks. 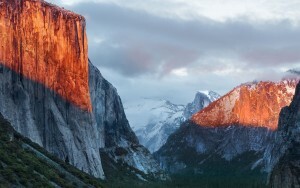 The current version of the operating system, 10.10, is called Yosemite. Apple has already announced that the next iteration of OS X will be named El Capitán, after a famous mountain inside of Yosemite National Park. Since it seems likely that Apple will continue to name future versions of OS X after California places, this is already leading to speculation of what place-names Apple may choose in the future. At the Apple event in San Francisco on Wednesday, the city of Arroyo Grande made an appearance in a presentation about the tech giant’s new 3-D touch screen for the new iPhone. If you blinked, you might have missed it. The article goes on to note that during the presentation, an e-mail is briefly shown that was allegedly sent to Apple’s marketing team. In the message, the team is asked where they should visit next to scope out potential names for the next operating system. A short list of places follows: Manteca, Tehachapi, and Arroyo Grande. The e-mail even shows a photo of downtown Arroyo Grande along with a link to the city’s official website. 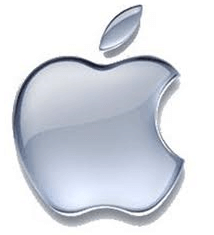 Only time will tell what Apple ultimately decides for its future OS names. But the company could do a lot worse than some of the beautiful places found on California’s Central Coast. 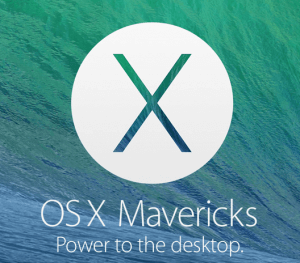 Yesterday OSX 10.9 Mavericks was released for Mac and Macbook devices. In a new direction, Apple decided to make the update free and was available just after the keynote. Better battery life and iBooks integration were the keys of the system update. The biggest feature being Mac computers as old as 2007 will be able to install the OS. My Macbook Pro is the 2011 model with AMD Radeon HD 6750M video graphics on top of the Intel HD Graphics (the card switches on video-intense processes). I have a Hybrid HD inside. In Mountain Lion, I had processes stuck that would make the computer work harder. For example: When I left home I would close the lid to my Macbook Pro (Chrome being the primary window open). I would get to my destination and open the lid. Instantly, Chrome would have processes that stopped responding but would never close – such as Google Chrome Helper. I would check my processes as the Macbook started heating up and the fan would go wild. Chrome was at 200% and its child processes also were working harder than normal. To fix this, I would have to close Chrome and go back in. Chrome wasn’t the only program that did that. Photoshop, Audition and other non-Apple apps would also hold onto the processor. Now with the addition of App Nap it looks like those processes are in check and ones not responding are not holding the processor hostage. Safari saves battery life by not running any processes that are not within the viewing screen. At first I thought it was a virtual webpage screen – similar to what your iPhone or iPad will load up. When I scrolled through a process-intense website there were no blank spots waiting for the page to continue loading. I had a friend that installed Golden Master last week. He was very impressed he could watch a whole movie without plugging in, so I had to test it out when I loaded Mavericks. I watched a full movie on a fully charged battery and still had plenty of time to do other things. Apple states its a 35% savings. I bought one of those lap-desks because my Macbook Pro would get really hot after working for only 15-20 minutes. The fans would spin out of control to keep the machine cooler. I have a non-retina display, but my model is an enhanced display (pre-retina I believe). 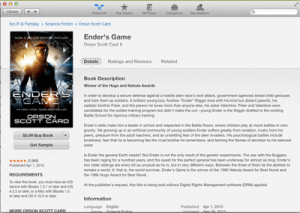 I wanted to test out iBooks on my laptop. I was able to access my books and of course get more from the store. The pages flipped with a swipe on the touchpad. With a simple command+ and command- I could increase and decrease font size. I could also highlight sections and post notes then be able to see the highlights on my iPad. I do have to admit – I am impressed with how the maps works. I looked through my city and even found my house – saw my car sitting in the driveway. Unfortunately I didn’t get the 3D view like if I lived in San Francisco. Nonetheless, I was able navigate through and have a good comprehension of where I was. In Mavericks you have the opportunity to tag everything for easier search. Since I wasn’t tagging things before, I probably won’t be using this feature. It all depends on how easy I can navigate Mavericks without tags. Other features include an improved calendars and the iCloud keychain. These items I don’t use because I have Google calendar and 3rd party keychain access. Still, during setup I was able to sign in and put on a secondary sign-in email. One 3rd party program I run called “Cinch” (snaps a window to full screen or half screen like in Windows 8) had to allowed in my security settings to run. It was the only program that required an extra step for me. I also had to install Java Runtime to continue using my Adobe products (Photoshop, Premier Pro, etc). 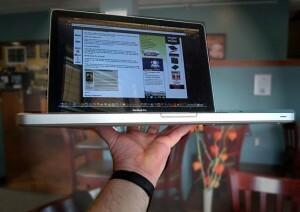 Ultimately, I am really enjoying the power saver and cooler Macbook Pro. For these two reasons its a good idea to update your Mac to Mavericks. The additional programs (including an updated iMovie and Garageband) updated without issue. The update took this Macbook Pro about an hour to complete – although times will vary between different models. Last fall I got a Samsung Galaxy S3 phone. I love the S3. It’s an awesome piece of technology. Sometime overnight a couple of evenings ago, it developed a hardware problem and the next day it would no longer boot. It was working perfectly when I went to bed, but when I woke up something had gone wrong. So, I went by a Sprint store. The technician tried to do a hard reset, but no go. He ended up giving me a new white S3. I ended up having a bit of a problem getting my Gmail contacts to synch to the new phone from Google’s cloud. After a bit of research, I discovered there is an apparent bug in Google+. If you have Google+ friend synching enabled on your Android phone, it ends up preventing the Gmail contacts from synching to the phone. The work-around to the problem is to turn off Google+ synching. Once I turned off Google+ data synching in the the phone settings, the Gmail contacts instantly started synching over. I’ve got quite a large contact list since the list was originally developed in Windows and has been synched over to a number of different phones as well as OS/X, so it took a while to synch over. I don’t need the Google+ contact list to synch over to the phone anyhow, so I will keep this Google+ app feature turned off. I had noticed even before this happened that contact updates didn’t synch properly to or from the old phone, so it is likely that the bug in the Google+ synching has been around for a while and as of this writing is not resolved. So, if you get a new Android phone and you are having trouble getting your Gmail contacts to synch over to the new device, make sure that Google+ synching is disabled then cloud synching of your contacts should begin working just like it’s supposed to. Depending on what time zone you live in you may or may not have been ready to grab a copy of Angry Birds Star Wars when it blasted onto mobile platforms and computers at 11pm PST last night, complete with an online launch event. Rovio even held a live-streaming event for those who were awake at that hour, which I suppose was morning in Finland where Rovio is based. From that Scandinavian country the company has reached out and dominated the mobile markets on Android and iOS devices and even is available now on Windows Phone and OSX and Windows computers. The last big release from the Finnish game studio, Bad Piggies rocketed to number one on the download charts in under three hours, making it the most successful release in history, surpassing Angry Birds Space. At the same time, the original Angry Birds game remains in the most popular download list in the Google Play Store. You can grab a copy now. There are both free and paid versions. You will find some very different birds here thanks to the Star Wars branding. The game play, while similar to Angry Birds Space, is also a bit different thanks to the George Lucas (recently purchased by Disney) influence. This is not full review of Lion, but just my initial look. I downloaded Lion as soon as it became available in the Mac App Store. I know that some of you are saying you should have waited, but when it comes to OS I like to live dangerously and try the newest thing when it becomes available. It took about 55 minutes to download, there was one glitch when it stopped downloading and said please try again, I hit resume and both the download and my heart restarted. Once it finishes downloading it then starts the install process. At this point you have to agree to the EULA and fill in your user id and password. The installation itself takes about 35 minutes, once it is done the computer restarts. Clearly this not something you want to do if you are in a hurry. At this point click on the Assistant Icon in the Dock, you can read about gestures, at the bottom of the text it will say continue to Lion, click on that. At that point the OS will tell you if you have any applications that are not Lion compatible and move them to a special folder. I had one, TotalFinder which fortunately I don’t use. At this point Lion starts up. The first thing I did was go into Magic Trackpad in System Preferences and check what gestures were available, you can uncheck the ones you don’t want. If you use a mouse, then go to the mouse icon under system preferences. While doing this I determined that Lion makes the MagicPref app I had installed to use with [Snow Leopard](http://www.apple.com/macosx/snow leopard) unnecessary. Opening up. Apple Mail also lead to another discovery, many third-party add ons may not be ready for Lion. I have both Mailtags and Mail Act-On installed, neither of them show up in Apple Mail under Lion. Mail Act-on does have a prerelease version you can download. If you have a favorite add-on you may want to check to see if it is ready for Lion, before installing Lion. Another thing I noticed right away was in the upper right hand corner in the menu, was my user name. Now you can easily switch users, this is great if you have multiple users using the same computer. The finder window also allows you to view your files, folder and application how you want including by category. This can be quite helpful if you have a lot of applications or files and folders. Do you need to download Lion right away, no there is no reason to be in a hurry. Is there any major reason to wait (other than application and add-on incompatibility) I say no. The final decision is up to you, do the research and make the best decision based on your circumstances. As for me I am happy I installed Lion. How about you have you installed it, what do you think. If you haven’t installed it and you are on a Mac why not?